Blog Home > Useful Travel Sites > Useful Travel Sites for Duty Free Shoppers, check before you fly! Useful Travel Sites for Duty Free Shoppers, check before you fly! Everybody wishing to shop Duty Free needs to buy a ticket first! These are some useful travel sites for our visitors to help them with their travel plans. We focus on Duty Free shopping, but to do this you need to be travelling. So we have added a page of useful travel sites or blogs. There are so many rules and regulations for shopping, let’s get the travel problems out of the way first. 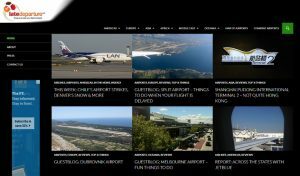 Late Departure is a site dedicated to airports and airlines, it features news and reports from around the world. This site is the one stop shop for everything airline or airport and also has links to the most famous flight bloggers. 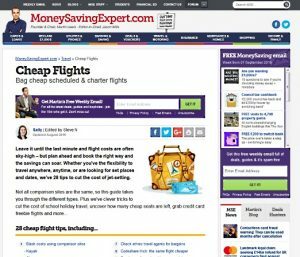 Britain’s Money Saving Expert has a great in-depth report on how to save money on your various travel spends, including the cheap flight option. Their 28 point Cheap Flights report gives masses of good advice on how to save when flying. Britain’s leading money saving site. You can also check out other options like Travel Insurance or using you credit cards abroad. Although the tips may not apply to people living outside The UK, much of the advice given works around the world. Previous Previous post: The Tourist Refund Scheme with Tax Free Shopping – how, where and why?